A hoe dam pulls down steel rebar hanging from the Sunset Bridge. Sparks from acetylene torches indicate where rebar is being cut. The metal will be recycled. Looking from the southeast, this views shows two water trucks on Sunset Bridge and the closure of the northbound lanes. 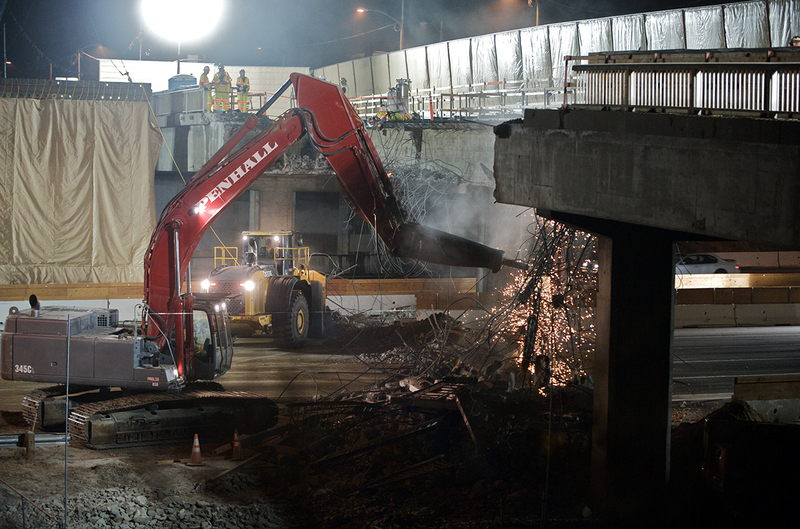 The section of the bridge over the northbound I-405 was demolished first. 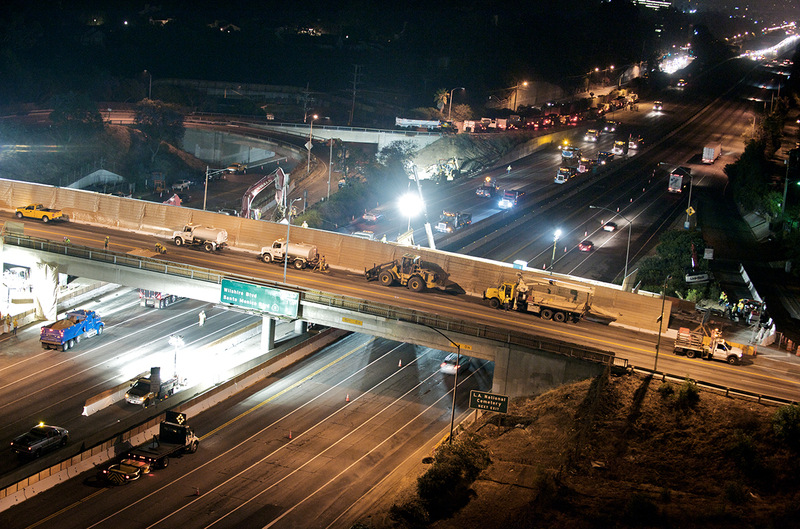 Demolition of the span over southbound lanes began Sunday, July 25. 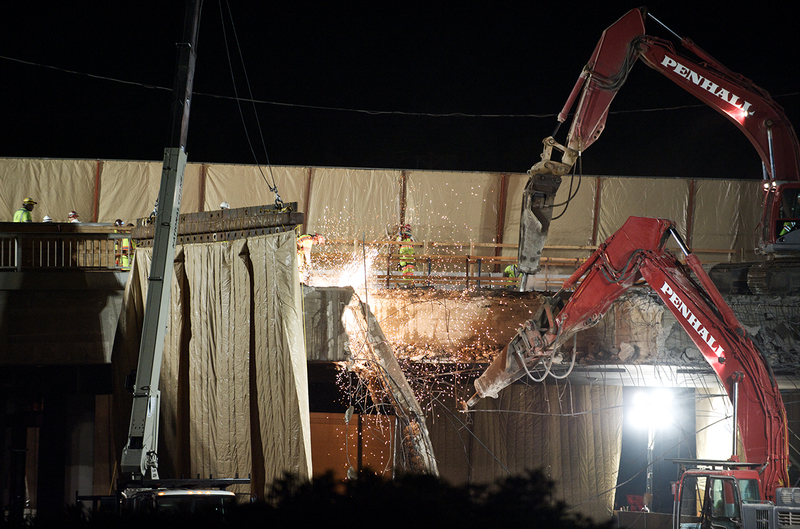 All demolition occurs at night to limit restrictions on the highway’s capacity. Behind sound blankets, two hoe dams, resembling giant mechanical elephants, pound away at the span over the northbound I-405. 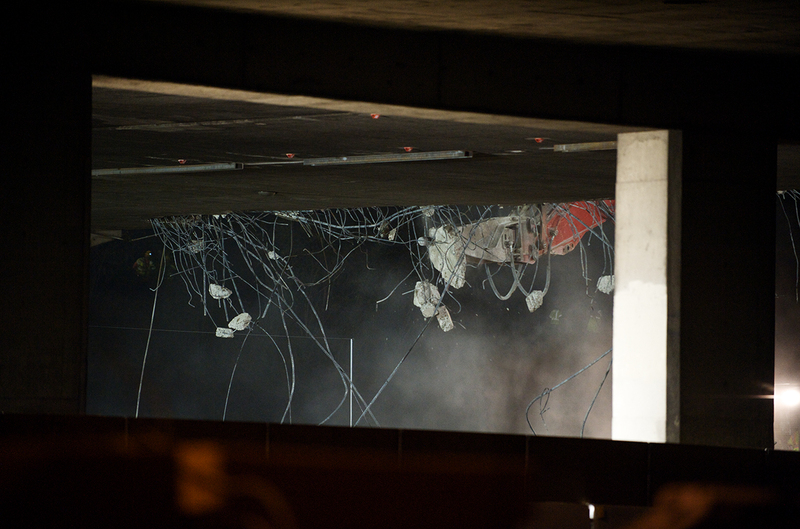 Soil was placed below the bridge to catch falling pieces of concrete. Looking southeast, dangling pieces of cement and rebar can be seen through the Sunset bridge’s support columns. 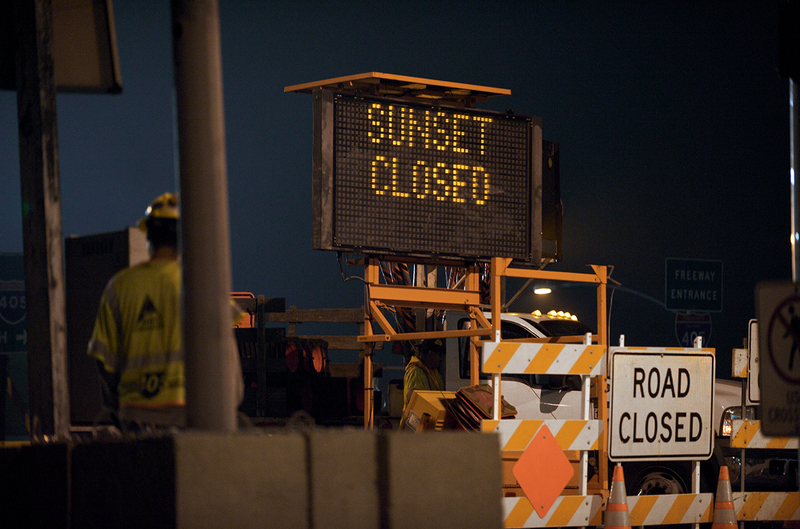 Sunset Boulevard had to be closed in both directions before demolition could begin.